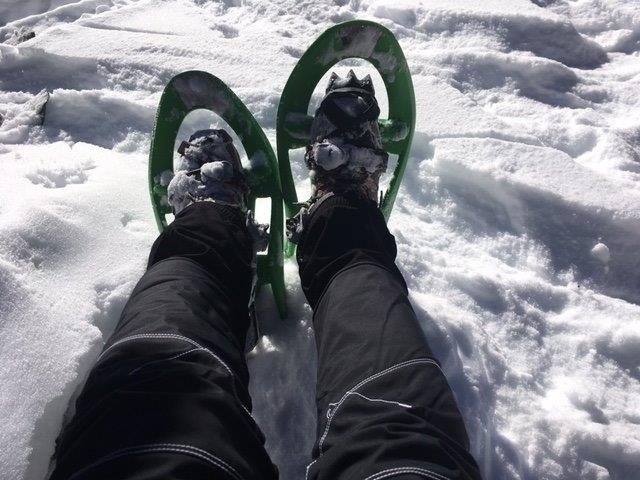 Sowohl in den OÖN vom 13. 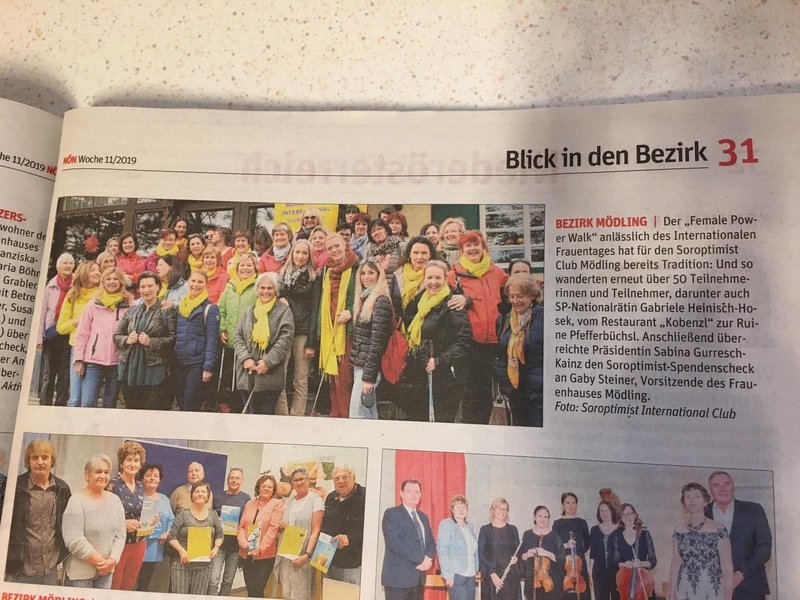 März als auch in der TIPS vom März 2019 wurde über die Bücherbox am Kirchenplatz in Ried berichtet. Baldur Preiml hat die internationale Sport- und Bewegungsszene vier Jahrzehnte lang erlebt und mitgeprägt. Er gilt als der österreichische Pionier für den Zugang zur eigenen Gesundheit und Bewusstseinsentwicklung. 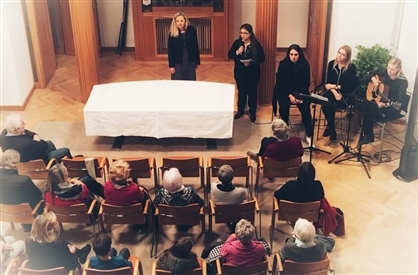 Thematisch mahnte der inzwischen 80-jährige Erfolgstrainer zu einem liebevollen und achtsamen Umgang mit uns selbst, mit unseren Mitmenschen und mit der Umwelt. 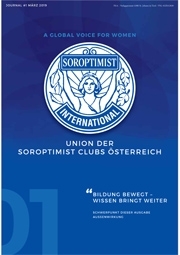 Vortrag und Wiedersehen: Die Soroptimist-Damen unter Präsidentin Susanne Kühne freuten sich über das rege Publikumsinteresse, denn der Erlös des Vortragsabend kam wieder sozialen Zwecken in der Region zugute. 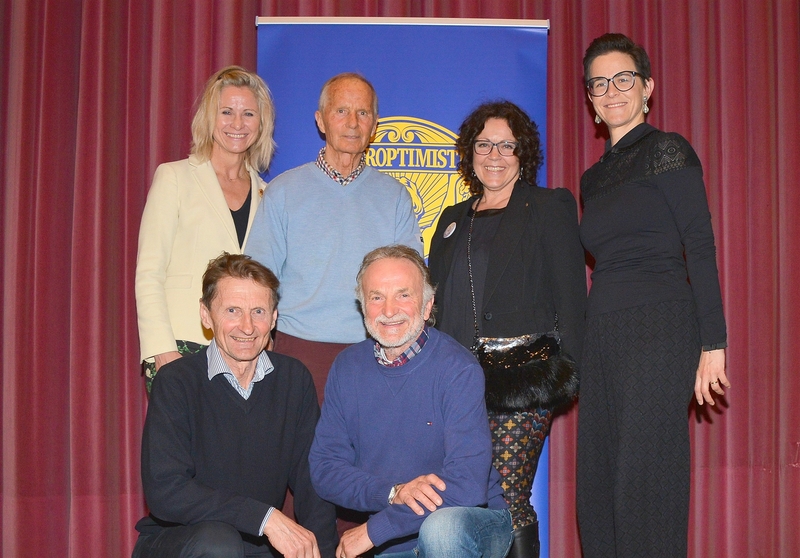 Ein überaus herzliches Wiedersehen gab es für Preiml bei seinem Impulsvortrag im Stadtsaal mit zwei ehemaligen Schützlingen, den Springer-Legenden Hans Wallner und Johann Millonig. 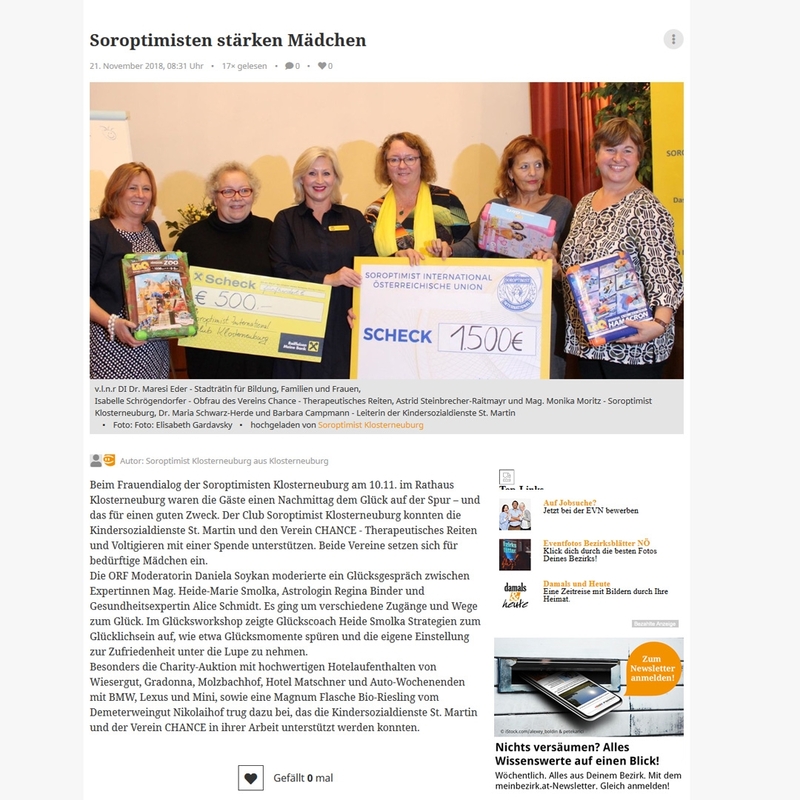 Der Female Power Walk anlässlich des Internationalen Frauentages hat für den Soroptimist Club Mödling bereits Tradition: Am 9. 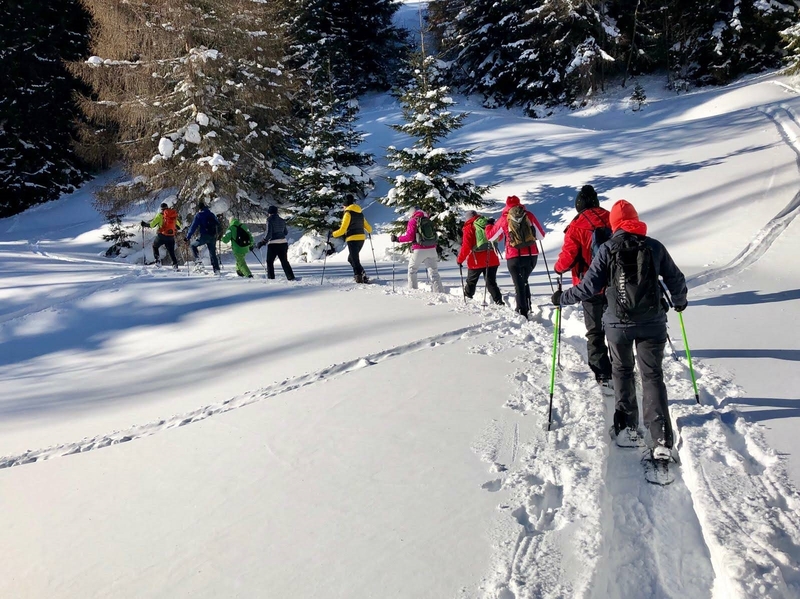 März 2019 wanderten mehr als 50 engagierte TeilnehmerInnen vom Genussrestaurant Kobenzl durch den Föhrenwald am Kalenderberg zur malerischen Ruine Pfefferbüchsl und retour. The blue-hued mountains rising above the small Nepali village of Solambu are breathtakingly beautiful, but life in the isolated farming communities of the surrounding Kavre district can be grinding and harsh. Solambu’s 12-year-old medical outreach centre, already a rarity in rural Nepal, can only be reached after a five-hour drive from the capital Kathmandu; two of those on a bone-rattling dirt track that winds on occasion past precarious sheer drops. During the summer monsoon, it becomes too dangerous to pass. When Dr Biraj Karmacharya, head of community programmes at a sprawling university hospital in the eastern town of Dhulikhel, arrived ten years ago, he could only do so after an arduous hike on foot. It was a time when medical emergencies could barely be treated, let alone any meaningful public health projects be carried out. However, today, hundreds of women in the villages dotting the steep slopes of Kavre have been drawn into a life-changing sexual and reproductive healthcare system through a unique microfinancing scheme that also helps to fund their vegetable growing and animal rearing businesses. Women like Harka Kumari Giri, 45, who not only received a three-year loan of 10,000 Nepali rupees (£67) from the health centre to grow and market vegetables, but also the diagnosis and treatment for uterine prolapse, a common problem in the area because of the high number of home births. “I didn’t know what was wrong with me,” said the mother of four. “The programme has definitely changed women’s lives as they can now go to the health centre when they have problems,” she added. The brainchild of Dr Karmacharya, the microfinancing project is one-of-a-kind in Nepal and remains relatively uncommon globally as a combination of the fight against poverty with the pursuit of improved community health. “Microfinance to us is a means, a bridge for us to enter into communities. It has really facilitated a lot of our work,” said Dr Karmacharya. When he first began to visit remote Nepali villages, he quickly learned that health issues took second place to financial concerns. “One thing we realised was that in order to have a long-term relationship with the community, to engage them in health in a sustainable way, we had to devise another approach than preaching to them,” he said. Families needed to prioritise basic survival and their children’s education, while women shied from asking their husbands for money for health checks or from mentioning gynaecological problems. for regular health checks and education. “It was a wild idea,” he said, but he managed to secure foreign, mainly European, donors for the project. 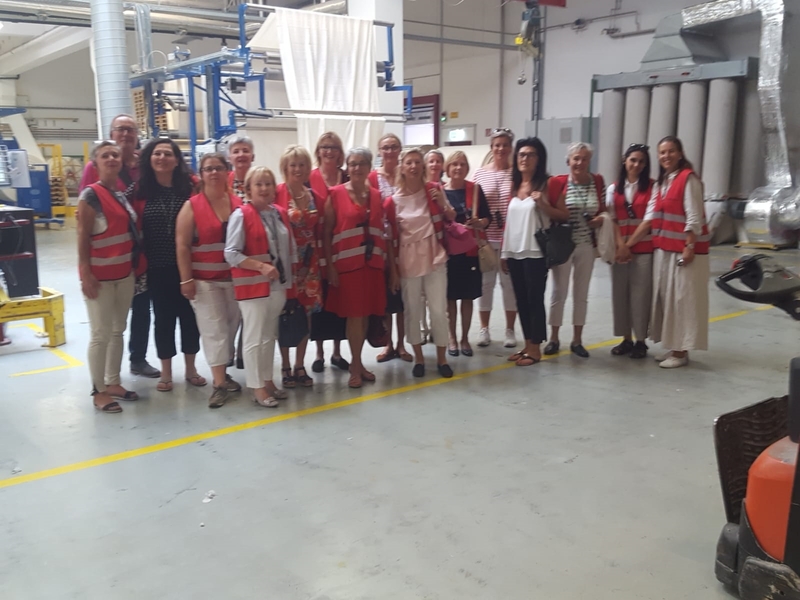 “We thought that it will financially empower them and that it will get the women organised, that the power centre in the communities will be changed." Since it began in 2008, the scheme has provided more than 1,000 women with small loans ranging from 10,000 to 25,000 Nepali Rupees (£67-169) over a period of three to four years. The money is used to fund the growing of marketable vegetables like beans, cauliflower, tomatoes and cucumber, or to raise poultry, goats and pigs that can also be used to raise household incomes. The participants, divided into small groups of ten, have monthly accounting meetings to arrange the loan repayment, which takes place at six-month intervals at an interest rate of two to four per cent. The women are also required to attend a monthly health education class where they can speak openly about medical issues and receive vital check-ups like cervical cancer screenings. Sabitri Maya Lama, 50, who lives in the tiny village of Dilaghara, is the leader of one of the current 55 groups active across the country. 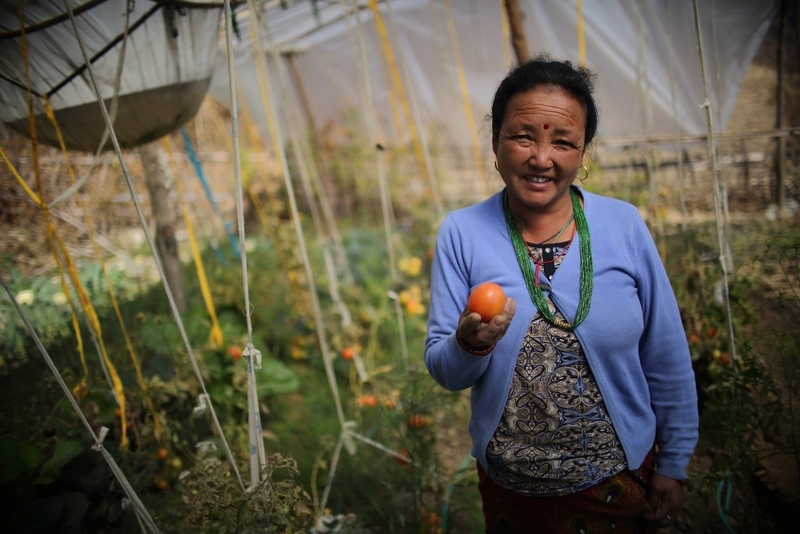 Sitting in the bright winter sunshine, under a gently fluttering string of colourful Himalayan prayer flags, Mrs Lama said that 19 months into the loan cycle, her tomatoes, cauliflowers and peas had been successful at the market, and provided nutritious food for her family. “Previously we had to buy our vegetables from Kathmandu. Now I don’t have to ask my husband for money,” she said. In addition to financial profits and free agricultural training, the women had benefited from increased self-confidence, said Mrs Lama. Wives and mothers who had previously existed alone in the shadows, speaking only in a local dialect, were now bold enough to speak publicly in Nepali. 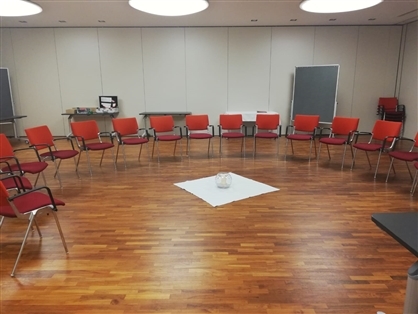 Their new assertiveness, borne through group support, has helped them to deal with local men who accused them of neglecting their housework. “We are united, so they can’t create any problems,” she laughed. But Mrs Lama admitted that some worried about loan repayments when their vegetables did not sell. The scheme, although popular, is not without its teething troubles. At her two-storey brick home on an outcrop overlooking a barren, yet idyllic mountain face, Anita Ghatani, 18, a first-time mother, said she had been forced to borrow from her sisters as the income from homegrown garlic, tomatoes and onions was insufficient to repay her loan. But her struggles did not discourage her from aiming to set up her own agricultural business in the future, she said. The health centre’s advice had also prepared her for the birth of her now cherubic six-month-old son, Anand. Back in Solambu, Renuka Gautam, 40, also had no regrets about joining the programme, even though she was repaying her loan for garden equipment through profits from her small family store. “It’s difficult to access markets as we have no transport,” she said, adding that the women lacked marketing education. However, she said that the scheme had helped crush her embarrassment about women’s health issues. “I now realise the importance of regular cervical screenings. I’m now motivating other women to join us,” she said. Other women, like her neighbour, Laxmi Lama, 35, have been able to make a quicker profit on livestock rearing. Mrs Lama, four months into her £169 loan for pig and chicken farming said she was thrilled with her new business, which was already generating enough income to reinvest in new livestock and provide for her three children. Dhulikhel officials say the logistical difficulties of vegetable growing have been identified and are being addressed. While conclusive data on the programme’s overall success is still being collated, anecdotal evidence suggests that health goals are being reached. A 2015 study on attitudes to cervical cancer screening in rural Nepal, published by the American Association for Cancer Education, and based on 122 women, showed that the proportion willing to undergo a screening shot up from 15.6 per cent to 100 per cent after a community education class. Gita Giri, a midwife at the Solambu centre, who conducts 22 monthly health classes, said she had noticed a marked shift in awareness and women seeking treatment. now much more open,” she said. According to Dr Karmacharya and local leaders, women’s financial independence and new support networks have also substantially reduced domestic violence. “There are women who say they are more confident, that their husbands no longer beat them. It changes the power dynamics,” he said. While healthcare debates often centred on new technology, the design of new delivery systems and approaches was less “glamorous” but fostered real change, argued an impassioned Dr Karmacharya. 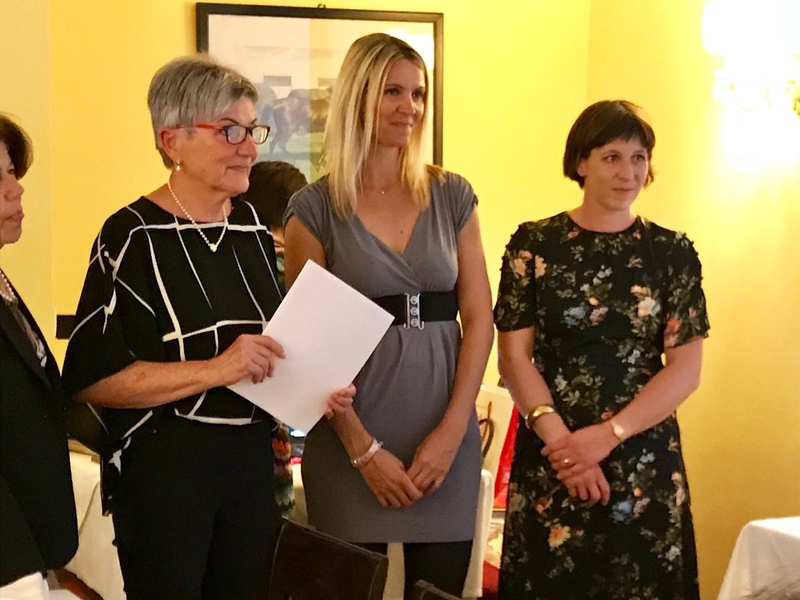 His project has found support from NepaliMed and Microcredit for Mothers in the Netherlands, the Soroptimist Club in Austria and NepaliMed and Civil Society in Development in Denmark. “My firm belief is that the solutions to the problems are best found in the places where the problems lie. The Harvards and Oxfords of global health shouldn’t be in Massachusetts or Cambridge, they should be in places like this,” he said.